LinktGO gives casual toll customers an easy and convenient way to use toll roads. With LinktGO, there’s no need for a physical tag in the vehicle. Instead, LinktGO uses GPS technology to track your toll travel in real time. The way you pay for tolls is also different. Instead of needing a pre-paid account or pass, the LinktGO app lets you pay trip by trip as you go. 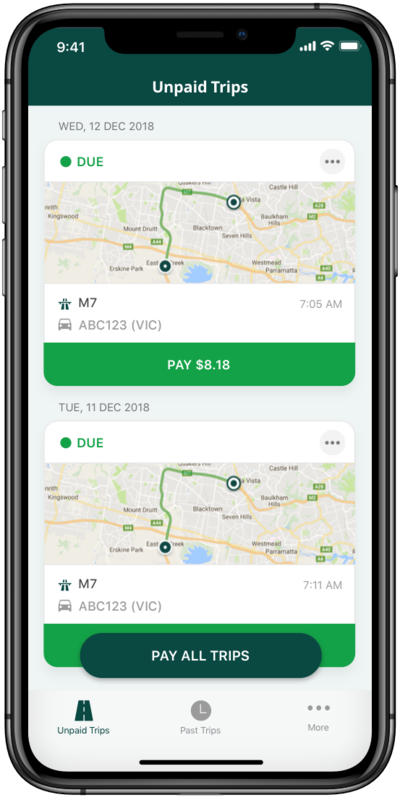 This makes LinktGO perfect for paying a one-off toll. 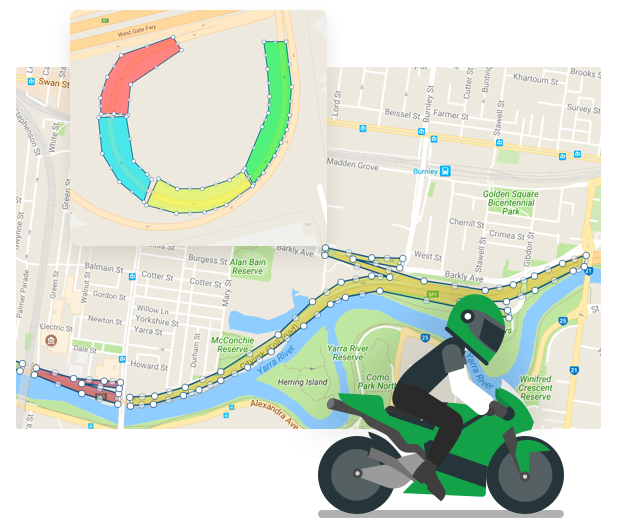 We use geo-fencing technology to map the entire Australian toll road network, turning physical toll points into virtual entries and exits. LinktGO uses the GPS technology built into your smartphone to track when you pass through one of these virtual toll points. 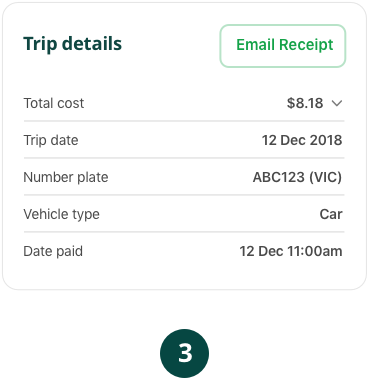 At the end of your trip, the app shows you the full details of your trip and the cost. Download LinktGO, enter your number plate and a credit card and hit the road. 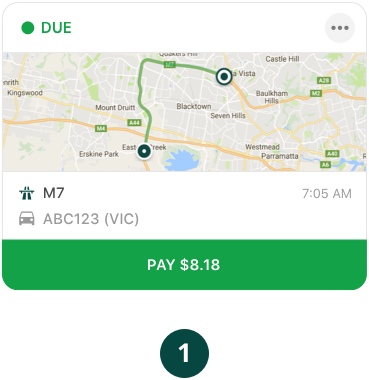 See trip details and pay instantly. 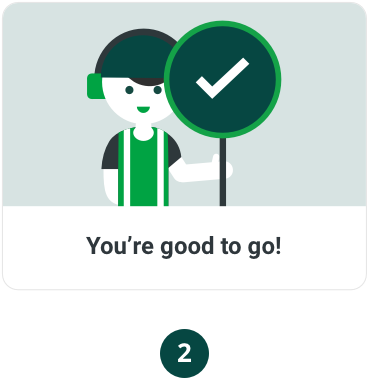 Trip-by-trip payment gives you complete control. Even if your trip isn’t captured by your phone’s GPS, it will appear within a few days. No toll notices or extra fees. "So much easier than getting a tag." "Saves me a fortune in admin fees. Love it." "No more forgetting about paying."